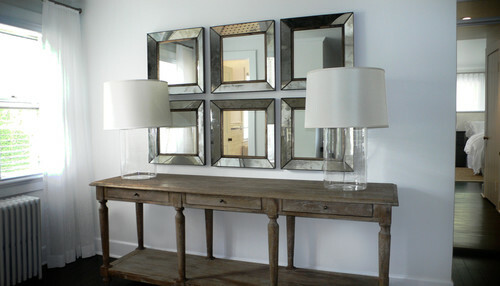 A mirror is a great item to have at home. It is a versatile home accessory that can be used for its practicality and decorative function. When hanging a mirror, make sure that it is reflecting a nice view. Try to place it in a spot where it will reflect a lovely painting or artwork, a beautiful garden, or an interesting furniture. When incorporating a big mirror at home, sometimes, you can’t decide on where to place it. Here are the best locations on where you can hang or install a mirror. A bathroom is incomplete without a functional mirror. When you’re doing your grooming ritual, fixing your hair, or checking out your face, a mirror is a vital element. 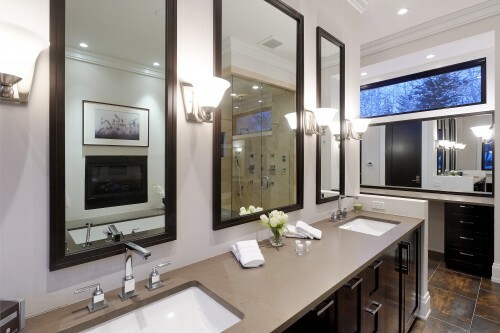 Place a good-sized mirror over the sink or vanity area. This is the most common spot to mount a mirror. If you have a small bathroom, use a mirror to your advantage. Hang a large mirror above the bathtub or any blank wall. The reflective property of the mirror will create the illusion of space in a tiny bathroom. 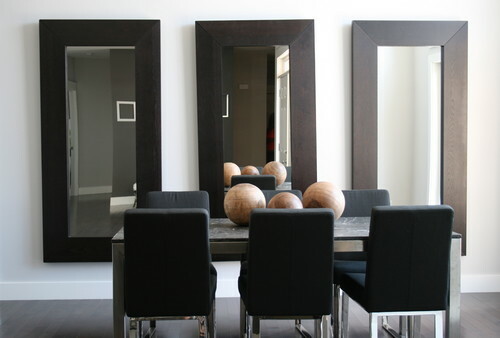 Interior designers love having a big mirror in the dining room, near the dining table. If you notice, most restaurants have floor-to-ceiling mirrors in the dining area. Depending on the ambience the restaurant is going for, a mirror is a big help in terms of reflecting lighting within the place. For a romantic and intimate dining experience, a mirror reflecting candlelight or chandelier can give a softer profile of the diners and food. The entryway is another good location to have a mirror. Hang a wall mirror near the front door so you can use it to do a final check-up of yourself before leaving the house. It will also help add illumination by reflecting sunlight coming through the door. 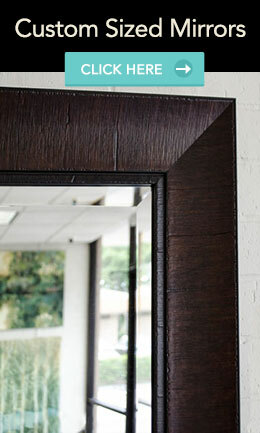 Get a big mirror with a beautiful frame to add drama and style to your entry. If you have a fireplace, consider mounting a large mirror over the mantel. Usually, this spot is left bare so make it interesting by having a mirror. Put a few decorative items such as photo frames or pillar candles in front of the mirror to create a stylish fireplace. Make sure that the mirror is reflecting something interesting and not just a boring, blank ceiling. Hallways are usually dark and a good way of bringing in light to this area is by placing a mirror. Have the mirror bounce off light from artificial light sources, or you can place it strategically to make the hallway look more spacious.